Right Wing Watch, who monitors everything we say and do, loves to take something we say and put a slight twist on it and create a story that’s a non-story. And they’ve certainly done this. They are claiming that I said AFA is sending men into women’s bathrooms to monitor this, and that’s, of course, patently absurd. The Washington Post picked it up. They printed it. It’s been in Time magazine, and so The Washington Post has been approached by our attorneys, and they’re changing their headline. But you know what’s happening. They’re trying to change the subject. Rios would appear to be talking about this Washington Post story. While it has since been updated, the underlying URL appears to detail the initial false report. The full URL reads: https://www.washingtonpost.com/news/morning-mix/wp/2016/05/03/after-target-boycott-petition-surpasses-1-million-signatures-group-claims-to-be-sending-men-into-womens-restrooms/. Editor’s note: The original headline on this story said that AFA “claims to be sending men into women’s restrooms.” The organization says it is not making such a claim and is not sending men into women’s restrooms. There is a false report being circulated on Facebook and by liberal media outlets that AFA has “encouraged men” to go into women’s changing areas or bathrooms at Target. This is completely FALSE. To date we are closing in on 1.2 million people who have signed the Boycott Target Pledge. AFA pushed back Tuesday after news stories hit the Internet claiming the family advocacy group is entering women’s restrooms at Target stories. The news stories originated with Right Wing Watch, an arm of left-wing group People for the American Way. Those stories began after Right Wing Watch posted a story Monday, May 2 after Sandy Rios was interviewed by Breitbart News. Rios, a radio talk show host for American Family Radio, talked to Stephen Bannon about the AFA boycott of Target and the corporation’s liberal restroom policy. 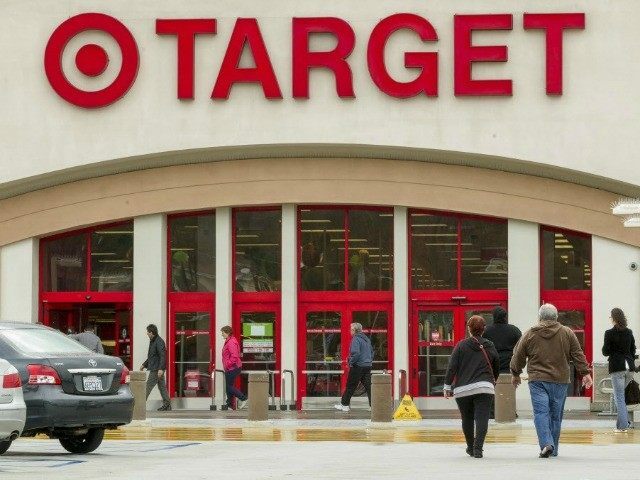 Without any “barriers” to stop people, Target is allowing anyone to enter the restroom of their choice, she said. “We’ve already had people testing this, going into Targets and men trying to go into restrooms,” she told Bannon, referring to citizens confronting Target management over its liberal policy. But that phrase took on a different meaning at Right Wing Watch, which declared in its story that Rios was referring to AFA itself – not the general public. And the claim took off from there, hitting the far-left Huffington Post and other liberal websites by Tuesday. The claim then found its way to the more reputable Washington Post, which stopped short of endorsing the claims that had gone viral among left-wing media.